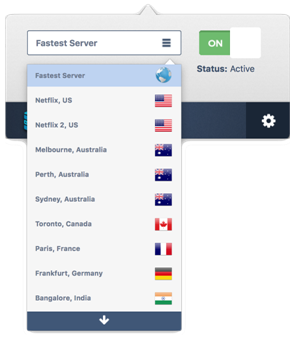 Proxy Rack VPN is a free VPN brought to you by the team behind the Proxy Rack proxy network. Like all VPN’s it promises to help you watch online content such as Netflix, increase your web security and access websites blocked in your country. Unlike a lot of VPNs however, Proxy Rack VPN is available completely free to download and use. Luckily for anyone choosing to use Proxy Rack, as well as being free it also offers an incredibly easy to use interface as well as a host of premium features. Downloading the software took me under a minute, although I had to register on their website first. The installation then went without a hitch and I simply signed in using my email and recently made password. The whole process from clicking download to logging in literally only took a couple of minutes. Connecting to a VPN itself was also incredibly simple. I was offered a choice of 19 connections in 12 countries to connect to. This includes six connections in the US and even a dedicated option simply for watching the US version of Netflix. An interesting feature for those people who don’t need to connect to a specific country, is that there is also the option for connecting to the fastest available server. After choosing to connect to the UK I turned on the VPN which connected without a problem in around five seconds. After pointing my browser to the BBC I was directed straight to the UK version of the website without any noticeable slowdown in speed. I went to iPlayer, clicked on the Euro 2016 highlights show and as expected there was absolutely no problem watching the program. Following this, I did another test, this time of one of the connections in the US. Once again it connected without a problem and within moments I was on the Netflix US website. In fact, all of the connections I tried worked quickly and without a problem. Customer support is done through a helpdesk on the website. If you have any problems it is simple to click the option on the VPN software which brings you straight to the appropriate section of the website. It is easy to leave a note and Proxy Rack’s customer service is open between Monday to Friday 10 till 5 EST. While not exactly 24-hour support this is still a lot of time for them to cover and quite amazing for a free product. It is also possible to connect to the guys at Proxy Rack if you have any questions before signing up through a pop up on their website. This loads automatically when you go their homepage and would be a great option for anyone with questions about their products. Now we come to one of Proxy Racks best points, at the moment it is completely free! While signing up I kept expecting to be told it was some kind of free trial but as of yet, I have paid nothing. As it is a fairly new product they will perhaps add a paid option once the word is out, but at the moment it is completely free. Proxy Rack offers an impressible amount of features that you would expect to get from most paid VPNs. Unlimited bandwidth, multiple servers, the option to kill the internet if your VPN disconnects and plenty of other features are all available. Proxy Rack also claims they are continuing to add new server locations every week so that’s something to keep an eye on if the country you want to connect to still isn’t available. Proxy Rack VPN is available on both Windows and OSX, although as of yet there is no mobile option available. The software itself is incredibly easy to use and literally just involves selecting a country and then turning the VPN on. While in use the program sits unnoticed in the notifications area of your computer. There was no slow down on my computer while it was running and everything seemed to be working at full speed. The app always opened instantly and it is also easy to change countries or any of your other settings without fully opening up the program. All in all Proxy Rack offers a great user experience. Proxy Rack offers a range of features to keep you secure while surfing the net. The kill switch disconnects your internet if you happen to lose connection to the VPN which means you aren’t at risk of accidently connecting to public networks without your VPN. The DNS leak fix means no one can snoop on your private browsing. These are all solid security features. All in all Proxy Rack VPN is a great VPN option. The software is incredibly user-friendly and literally just involves picking a country and turning it on. Speed loss was minimal and there were no problems with buffering videos on any of the sites I visited while using the product. It offers a whole host of premium features and especially the fact it has unlimited bandwidth is a great plus point. It is a free product that is easily comparable to the paid VPN’s out there. 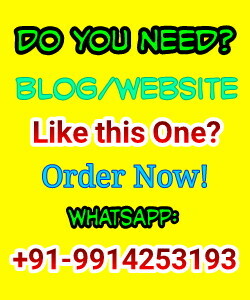 Message: I hope that you have enjoyed 'Proxy Rack VPN review: Free, Fast, Secure VPN Network' article on Tips2secure. However, if you want me to deliver more items, then please share my post. You can use Social Sharing Widget provided at the end of every post. After all, Sharing is Caring! proxy is the worst possible option. I used it and still regret it. Thankfully i got access to IPVanish VPN that took me beyond all the limitations.